"ONE DAY TO THE NEXT." Go visit the other participants on LATSOF. You won't be disappointed! beautiful pictures, i love the first post. happy weekend. really pretty--the two photos paired together build suspense! Quite a difference, but that's what keeps the sky so interesting. I think Bradford Pear trees are beautiful when in bloom. 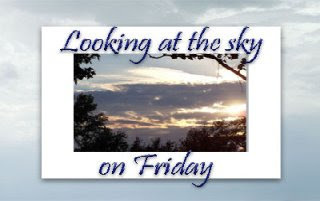 Your Friday sky looks like the one on my post today with Big Ben. 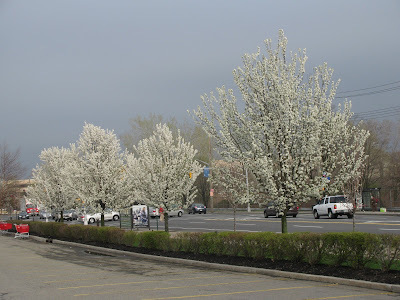 The ornamental pears just started blooming here, too! 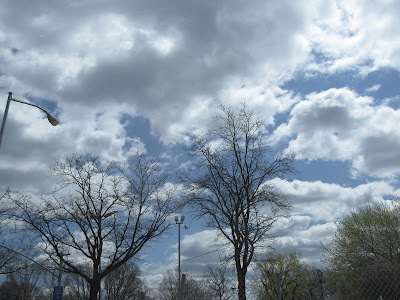 I see the budding flora as it appears against the Spring skies. And these pictures show us the new life beginning on the trees set against the old sky. A beautiful clash, you could say!